Cinematography has gone a long way in the past 50-60 years. And not just cinematography. Makeup, costumes, acting, technology, everything has evolved. 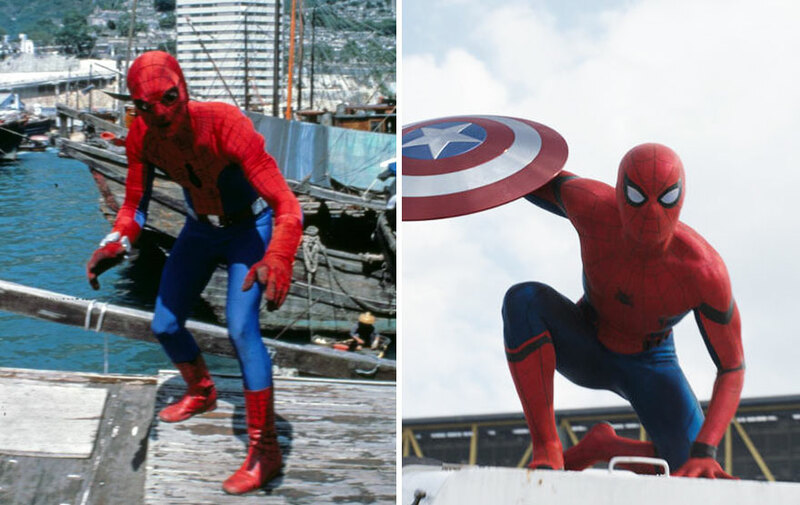 So it is no strange that superheroes, characters from comics have evolved on the big screen. For example, Hulk back in the days was looking scary and amateur. 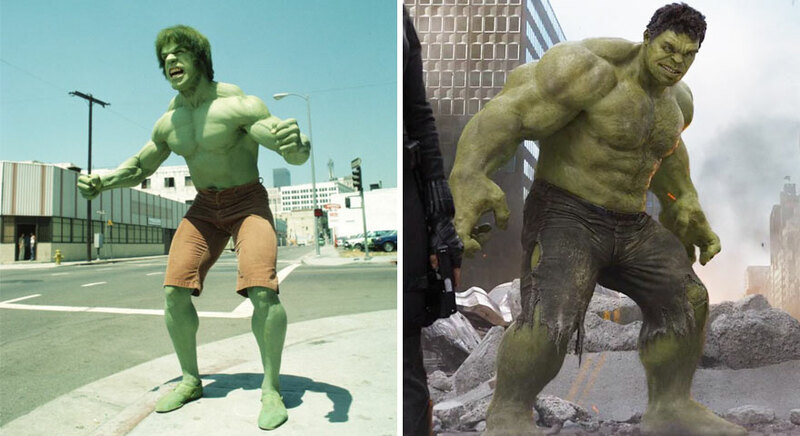 Nowadays, Hulk looks astonishing, not just like a dude with some muscles. Superman, Batman, Spiderman, and other iconic characters from comics have evolved. 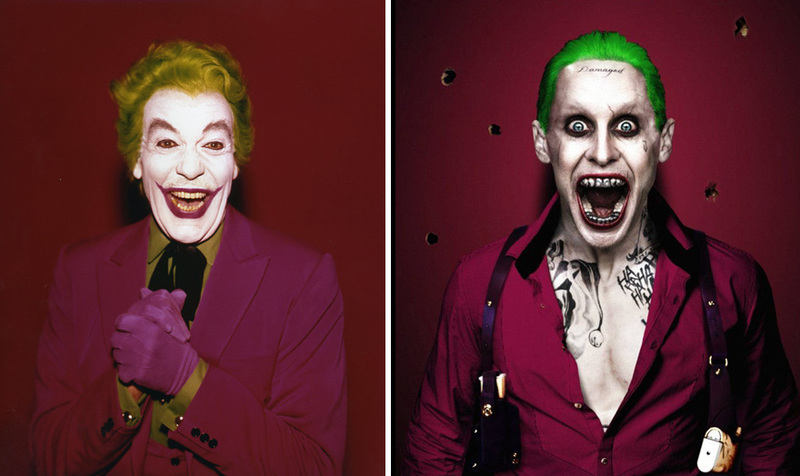 Let’s take a look at the first and the latest portrayal of some of famous superheroes and villains. The first Batman was actually published in 1943, and it was written by Orson Wells. It was a black and white edition, a 15 chapter serial. 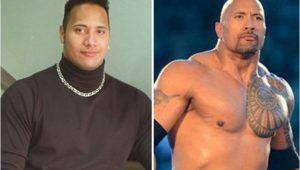 The character has gone a long way since then, and many Hollywood actors have wore the black mantle since then. It is hard to determine who the best Batman is, since there are strong characters like Michael Keaton, Christian Bale, George Clooney, Val Kilmer, and now Ben Affleck. Affleck’s Batman is darker and more technologically advanced. Fun fact: The actor playing the Flash in the 1990 series is now playing the role of Henry Allen, Barry Allen’s father in the latest installment of the Flash TV Series. 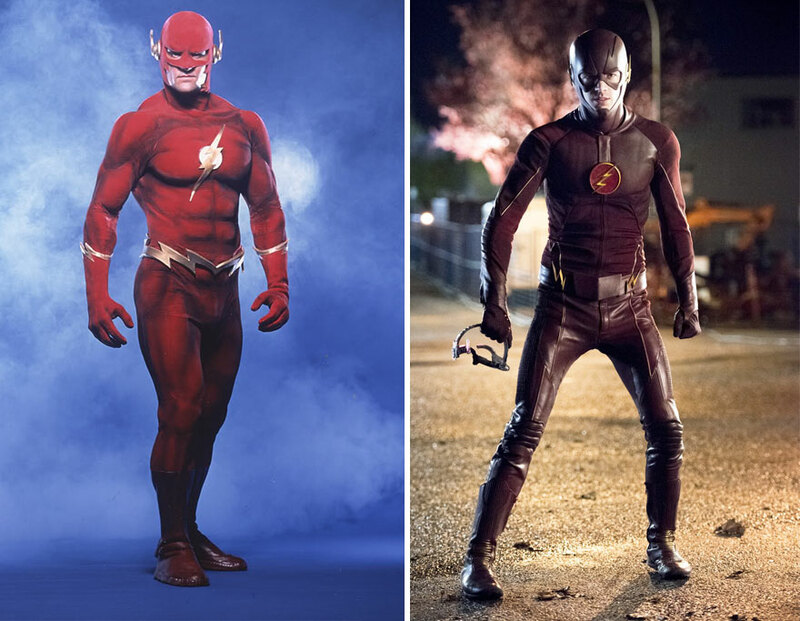 The season 2 Finale even ended with the actor actually being Flash from another Earth. If it sounds confusing, don’t worry, Flash is one of the more confusing characters in the world of DC Comics, since there are so many universes and worlds. 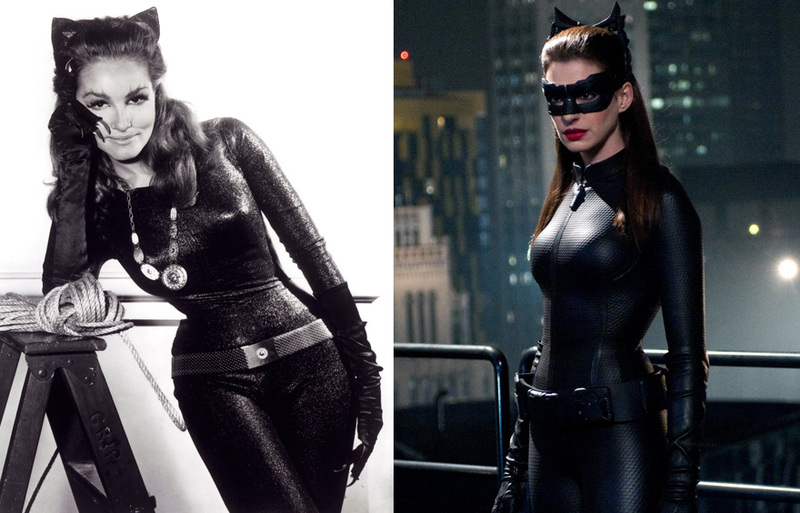 Two actresses played the Catwoman in the 1960s series, with Julie Newmar wearing the black in the first two seasons, and Eartha Kit in season 3. Some 50 years later, Anne Hathaway masterfully played the Cat, emphasizing her volatile character. We mentioned Hulk at the beginning. When Hollywood first decided to bring the Green monster to the big screen, all they did was paint an actor in green color. They managed to find a muscular guy, and they painted him in green. There have been several installments of the Hulk, with Edward Norton arguably one of the best. And when fans were angry that Marvel recasted the role of the Hulk for the Avengers, fans were angry. And then Mark Ruffalo delivered a performance of the ages. Exo-man is considered one of the 10 worst superheroes to appear on the big screen. Paralyzed by mobsters, Exo-man wore a suit that gave him superpowers and made him mobile. He was a physics professor. Nowadays, you can be sure few people remember the Exo, as Tony Stark wears the Ironman suit with honor and pride like nobody else before. Robert Downey Jr. managed to make Ironman one of the more iconic characters in the Marvel universe. Not that Ironman was not popular, but he was nowhere near the status of Spiderman and Captain America. Once Downey put on the suit, things changed. Danny Devito’s Penguin is one of the top 10 best villain portrayals of all time. And it happened in a time when cinematography had yet to reach its highest point when superheroes were considered. 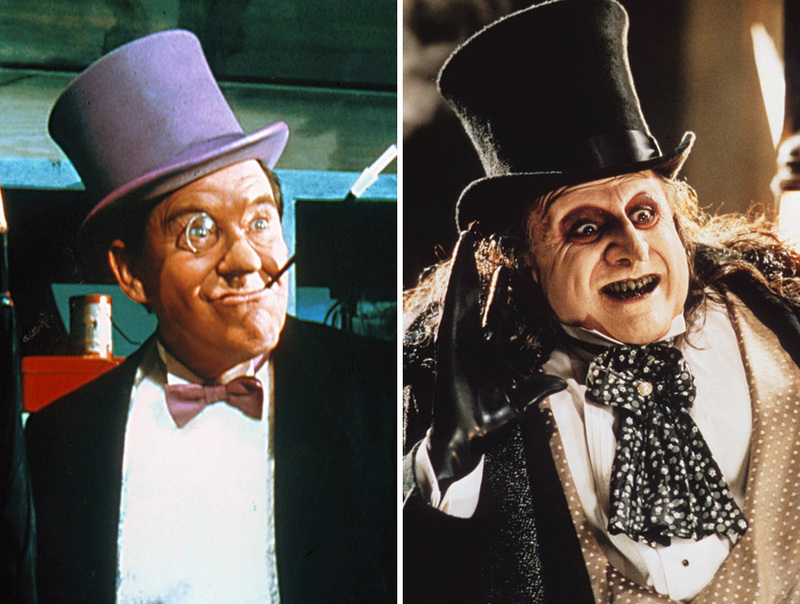 DeVito played the Penguin to perfection, which is one of the reasons why that Batman Returns is one of the best Batman movies. 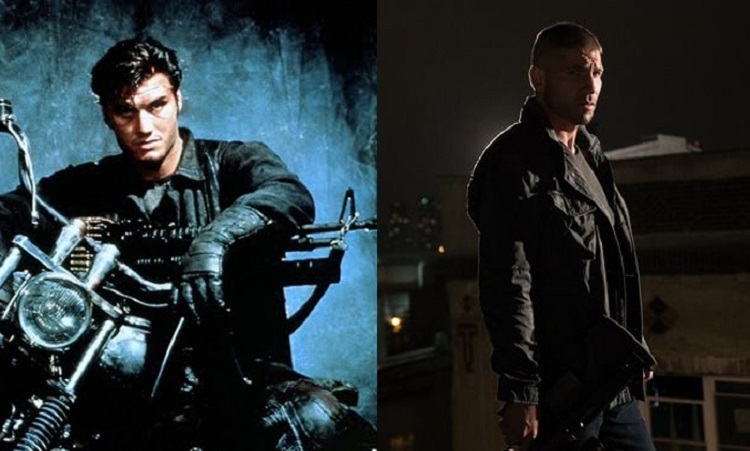 Punisher has gone through several transformations over the years. He was even part of a popular video game. Now appearing in the Daredevil series, Punisher has become a more deep and multidimensional character. One can safely say, Marvel has done a great job in the last 5-6 years, transforming completely the superheroes genre. It started with Ironman, but Thor soon followed, and Chris Hemsworth was brilliant in the role. The Thunder God is getting its third installment this year, and we can expect many more appearances in solo and multi movies in the future. With Superman being one of the most popular, iconic and famous superheroes in the world, it is hard to make a woman character out of him. 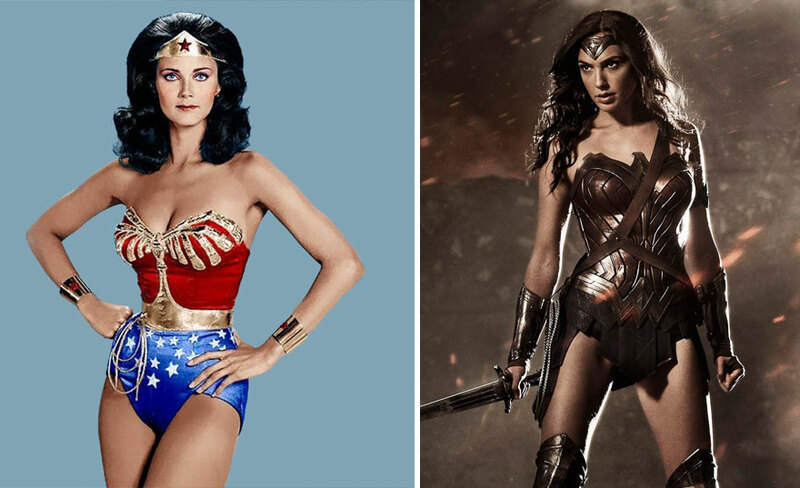 But DC succeeded in that, bringing the female superhero to the big screen. 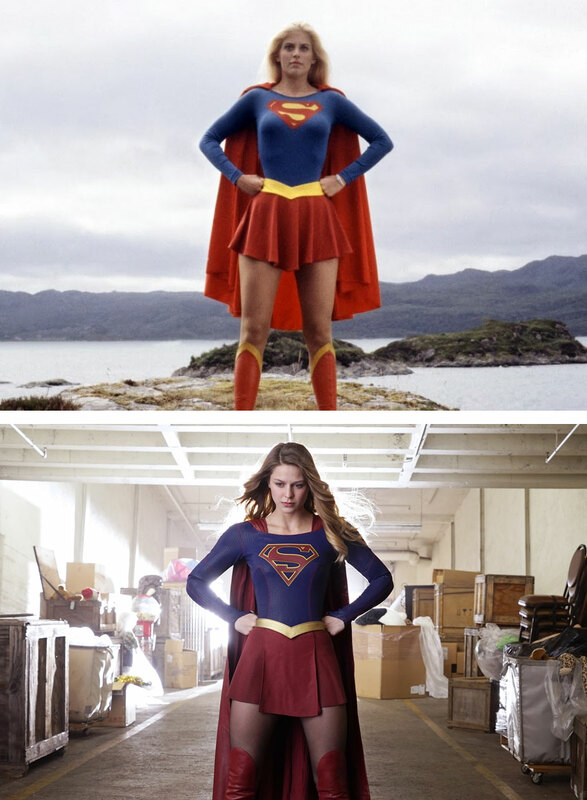 Last year, Superwoman was one of the most expensive TV shows, and the trend will continue this year. 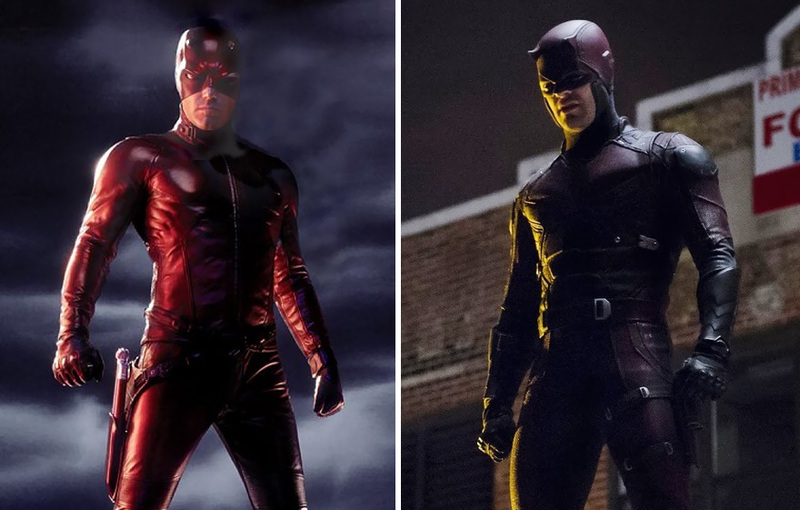 One of the reasons why fans were angry and vicious that Ben Affleck was cast as Batman in the new Batman v Superman movie was his portrayal of Daredevil back in the days. To put it simply, Affleck was awful. But he managed to redeem himself with the role of Batman, and Marvel has found a new guy to play Daredevil. Hulk and Thor are the best examples how far technology has advanced in recent years. Which is one of the reasons why superhero movies are more and more popular. 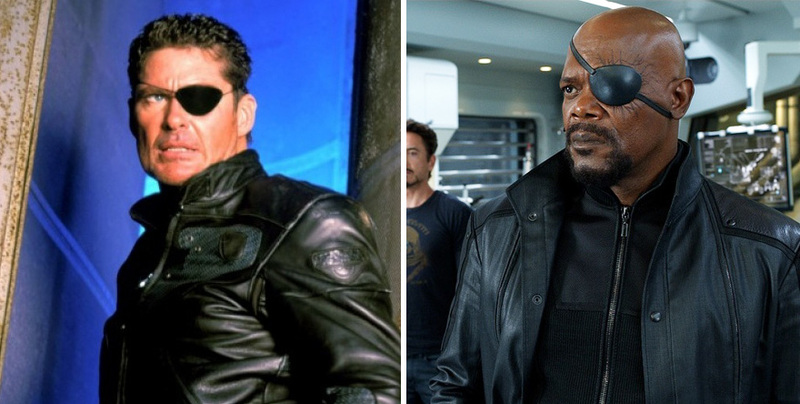 Marvel has managed to make superhero movies a mainstream thing, and these two play a huge role in that. Hugh Jackman will finally move on from Wolverine next year, as the actor has said that Wolverine 3 will be his last portrayal of Logan. And it was enough. 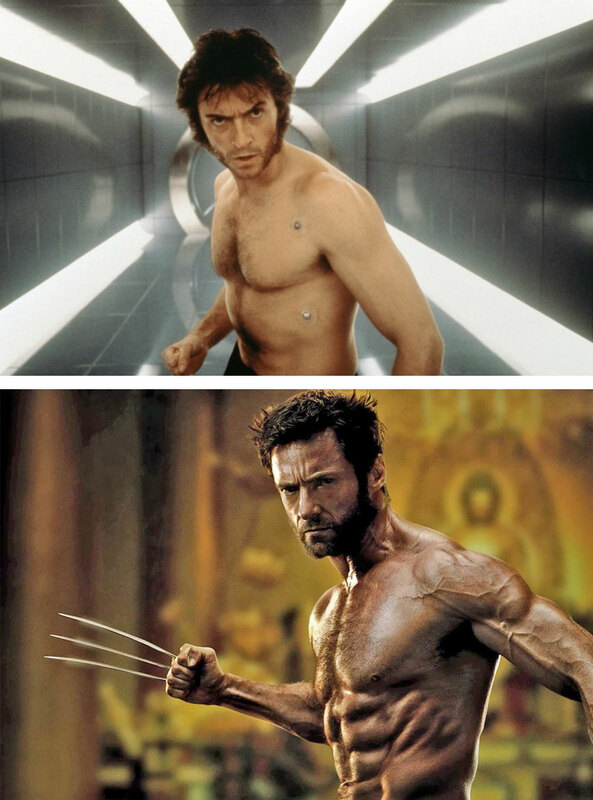 The only difference between young Jackman and older Jackman is his muscles have grown. Jackman has been so good in the role, that many fans actually know him as Wolverine/Logan, not as Hugh Jackman. Marvel took some time to think about Doctor Strange, and this year we will finally see the beloved character on the big screen again. 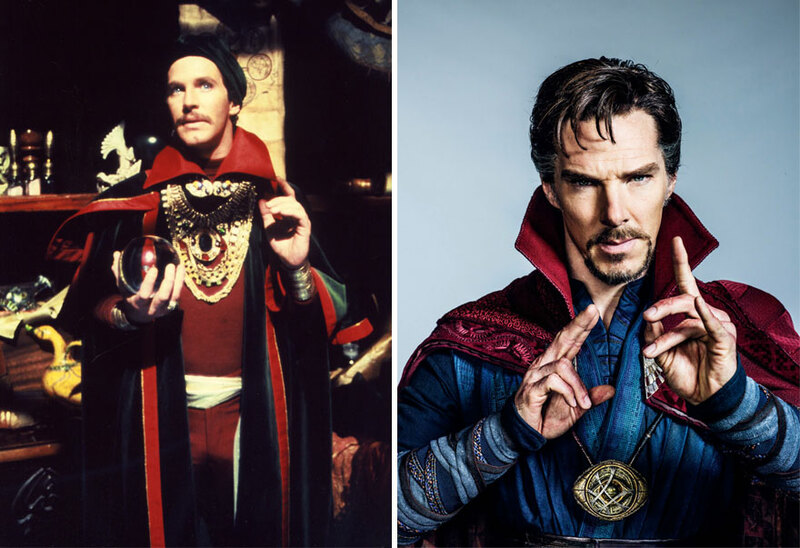 The reason why Marvel waited so long to introduce Strange was because of the whole use of magic in the movie. Fans needed time to grasp magic, and slowly but steady, Marvel is moving more towards magic as superpower, and away from physical strength. 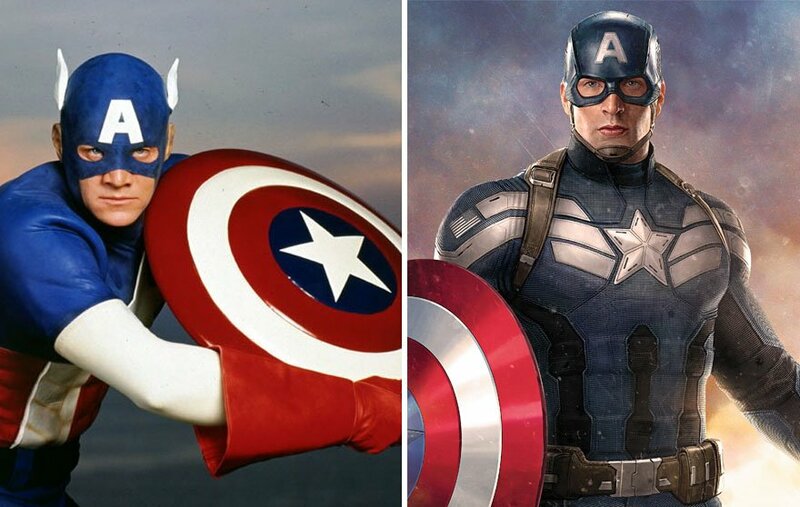 Back in the days, Captain America was more lanky than muscular. And that worked for that era. But nowadays, when people are getting stronger and stronger, it was only fitting that Marvel made Captain America a real hero that relies on his strength. Another improvement from the early years is that Chris Evans has made the hero multidimensional, and has added a certain level of depth that was not there before. 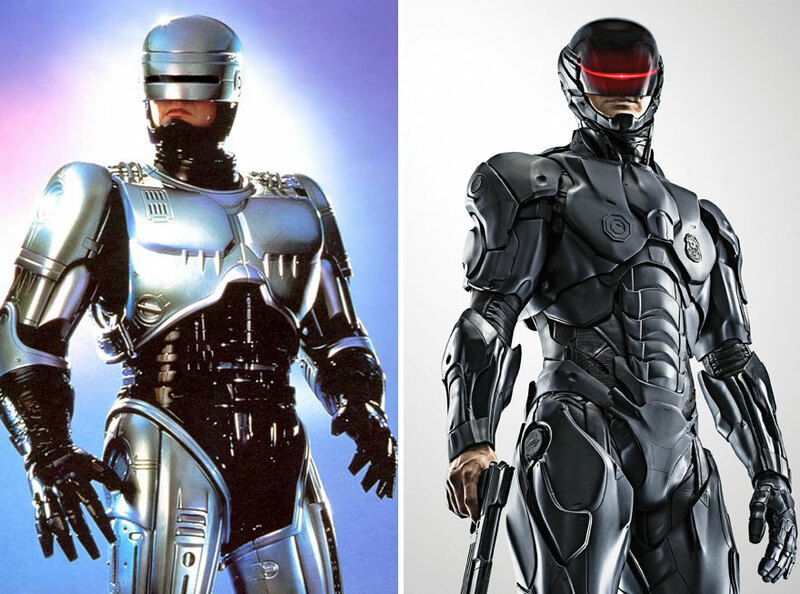 We can safely say that Robocop is one of the heroes where the early version was better than the late version. Robocop was one of the iconic TV shows in the late 80s and early 90s. Everyone loved the metal hero, because he gave fans a reason for hope. He was sincere, honest, and deeply touched by tragedy. 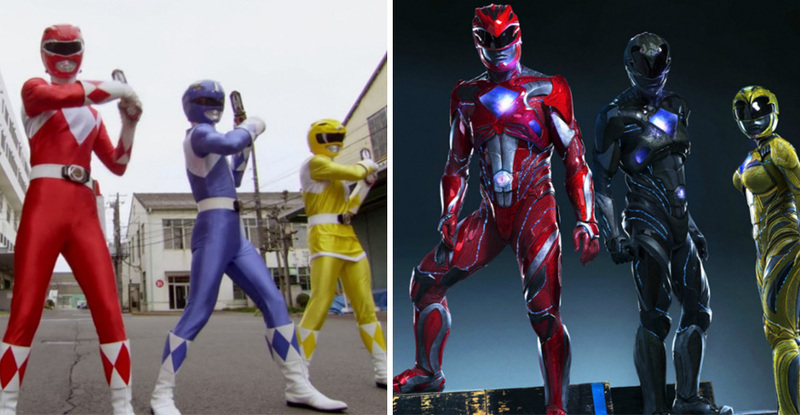 Hey, Power Rangers were due for a remake and improvement a long time ago. Back in the days, they looked more gayish (no offense to LGBT people), but boys in unitards, that is a no-no. Thank god that they gave them some proper suits. 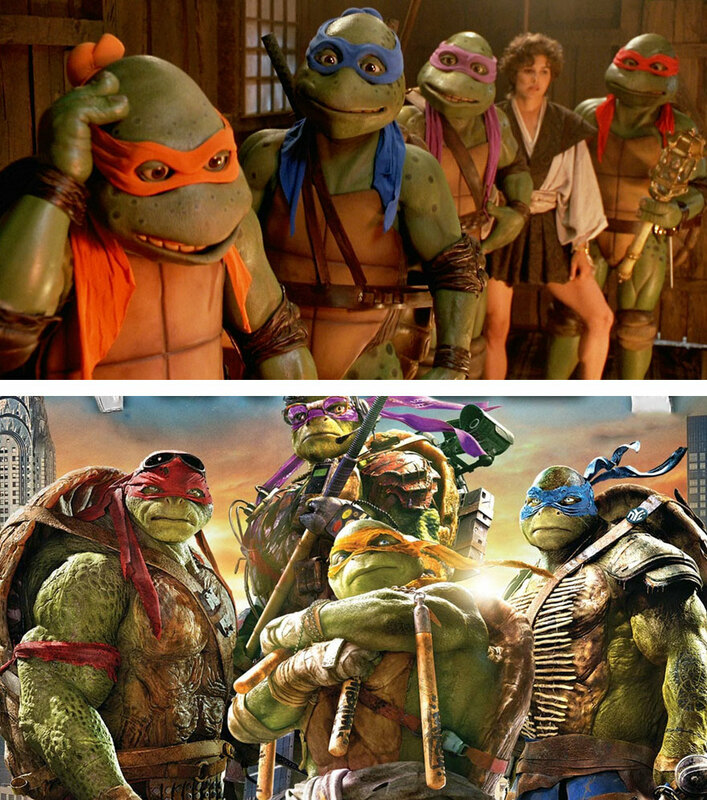 Ninja turtles is another TV show that is hard to replace. The classic turtles show was so awesome. Not just the movie, but the animated show as well. But, we can say that the modern ninja turtles have managed to keep the humor going, which is what makes the turtles so fun to watch. They offer a comic relief which is hard to find in a superhero movie. 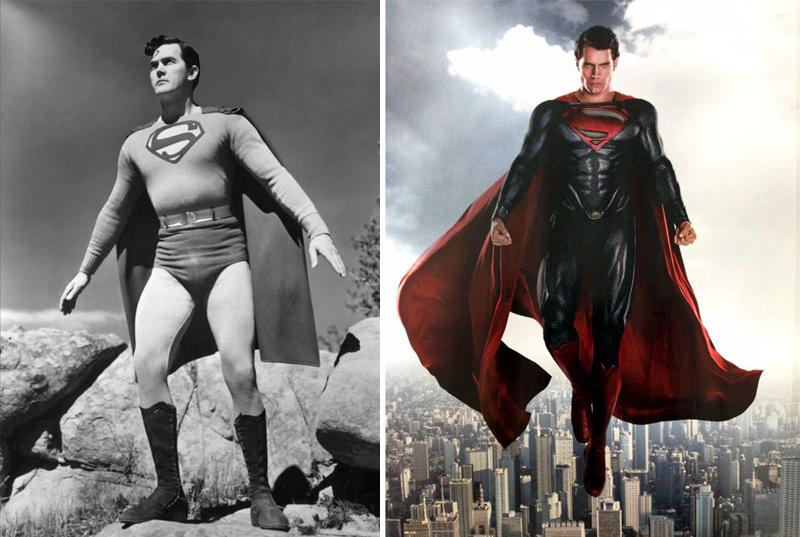 Back in the days, Superman had almost no muscles, and even had a belly. That is unforgivable in todays era, where superheroes rely on their strength, and they are supposed to look strong. But hey, Superman was one of the first superhero movies to break the barrier, and we are thankful for that today. Not much can be said about the Fantastic Four, which is a shame. The franchise is one of the most popular in the Marvel Cinematic Universe, and their story is so great, it is a shame that Marvel was unable to make a better movie out of it. The franchise was rebooted last year, but it was a disaster. 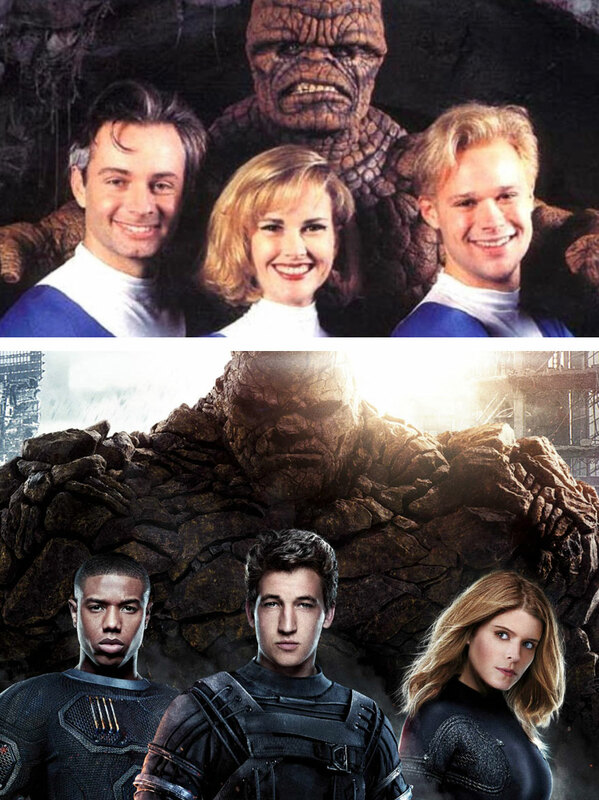 The Fantastic Four of the 2000s was actually a good one. Spiderman is one of the most, if not the most popular superhero in the whole world. That is the reason why Marvel went so hard at getting back the rights for the character from Sony. And fans all over the world can be thankful for that, as we can expect the true nature of Spiderman to come back to the big screen. Not that the Tobey Maguire Spiderman was not good, but Spiderman is a teenager, and his last portrayal in Captain America: Civil War is the first time he is actually played by a teenager, not a grown up actor. The Amazonian beauty was one of the bright spots in Batman V Superman. And we will get to see her in a standalone movie in 2017. Let’s hope she is just as good on her own. The Joker is one of the most famous villains in the whole world. So many actors have portrayed him. Heath Ledger was arguably the best Joker there ever was, at least in his dark tone. Jack Nicholson’s Joker, for example, was a more maniac, funny and psychotic. Jared Leto’s Joker, which will debut in Suicide Squad, promises to be more of a funny and comedian character again.